Discover the beauty and glamour of the French Riviera on a full-day visit. Enjoy a relaxing and effortless day observing the beautiful sights. Observe the Gorges du Verdon et Moustiers Sainte Marie. The Regional Nature Park of the Verdon is a fireworks show of biodiversity. The sights as well as the vegetation together with fauna develop the very basis of the amazing area. Moustiers is a commune in the Alpes-de-Haute-Provence place of France, and is certainly one of the most incredible villages in the country. That, together with its proximity to the Gorges Du Verdon, makes it an incredible must-visit destination. 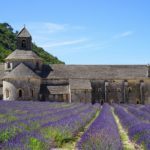 Certainly one of France's "Most Gorgeous Villages", forms a remarkable group of structures. Normally Provençal and looking rather like a nativity look with the large gold star suspended above it, the village is full of charm with narrow street and little squares to wander through, refreshing fountains, faience workshops and also boutiques, and smartly-fronted homes dominated by the imposing Lombard Romanesque bell tower of Notre-Dame-de-l'Assomption church.